Our product range consists of fully automatic injection moulding machines, special purpose moulding machines and two colour moulding machines. All our products are developed and designed with highly innovative and functional technologies to provide consistent trouble free performance, guaranting energy saving, maximum productivity, higher profitability to customers. We engaged in manufacturing and supplying a wide array of Plastic Injection Machine. 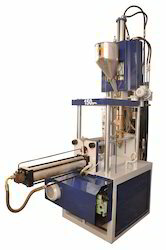 These fully automatic machines are used for moulding highly meticulous industrial components. These are fabricated using high grade raw material and latest technology at our vendors end. Our range is known for its excellent performance and providing fantastic results while using.